When Lexus owners in the Kent and Des Moines area are looking for expert auto mechanics, they know they can trust Premier Automotive Services. Our ASE-Certified auto repair specialists are honest and friendly and have the technical know-how that you deserve. After all, you wouldn’t want to leave your Lexus with just anyone, would you? 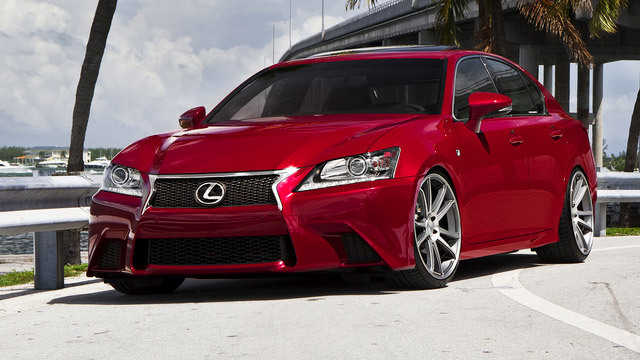 Here at Premier Automotive Services, our auto repair technicians fully understand why you’d want a Lexus. Lexus owners appreciate the luxury and many little extras that they gain from having a Lexus. Despite its reputation for dependability, a Lexus, like any other vehicle, needs regular maintenance in order for you to be safe and have outstanding driving experience. From the moment you drive your Lexus onto the premises at Premier Automotive Services, our auto repair technicians will take good care of you and your car. That’s why people in the Kent and Des Moines area try us once and come back over and over. We have three technicians, all of whom are ASE-Certified. We get training twice a year. In fact, we shut the shop down in March so we can be up-to-speed on all the latest changes in the industry. “Very honest and friendly. Wouldn't hesitate to use them again” -- Kevin M.
Our technicians at Premier Automotive Services would love to service your Lexus. Our guiding principle is to take care of our customers first. Why not schedule an appointment today? We are conveniently located at 25009 Pacific Hwy S, Kent, WA 98032. Our hours are 8:00 AM - 5:30 PM, Monday - Friday.